And this is why I’m loving today’s fun wedding favor – a pineapple shaped cheeseboard. 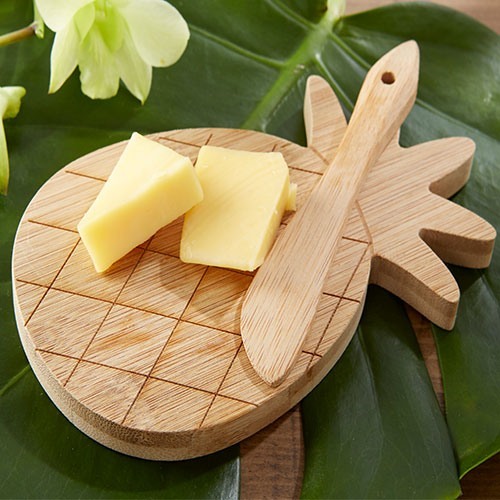 Imagine that you’re hosting a tropical wedding and your guests find this cute and functional bamboo cheeseboard in their welcome bag. It’s a perfect gift! Your guests will remember your special day each time they use their pineapple board and it is a lovely symbol of friendship and hospitality! You can find this fun favor here.